Encouraged to develop his talent by Gene Sayles, the manager of Brown & Bigelow's Kansas City branch office, De Vorss soon received his first commission from the company.To celebrate, De Vorss and his wife moved to New York and set up a penthouse studio in the Beaux Arts Building, at Eighteen East Tenth Street. Signing up with the, prestigious American Artists group, De Vorss spent the next several years working for calendar-publishing houses such as Brown & Bigelow, Joseph C. Hoover, and Louis F. Dow. 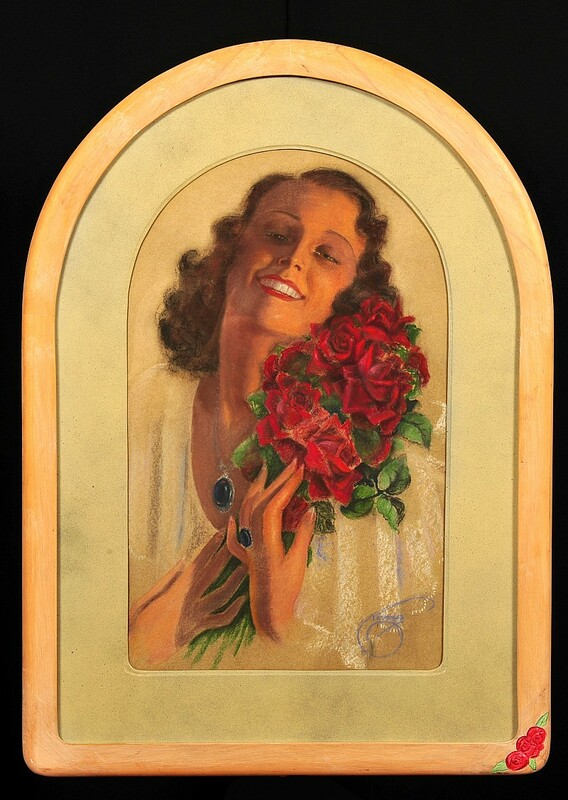 Most of his pastel originals were large and bore his highly distinctive Art Deco inspired signature. Covers for Beauty Parade and the King Features Syndicate as well as calendar commissions from the Osborne and Goes companies followed in the early 1940s. In 1949, the artist illustrated a highly successful campaign for Botany Woollen's robes with depictions of handsome men lounging at home with their own De Vorss pin-ups. De Vorss used an incredible variety of pastel colours for his work, and he applied them directly onto the board, blending them dry with his fingers. His occasional oil paintings bear the rich, painterly brushstrokes of the Sundblom School. He displayed a fine sense of composition, a flowing, graceful line, and a daring blend of colours. Like Rolf Armstrong, De Vorss always worked from live models for the final painting. He did, however, employ photographs for preliminary stages. In 1951, Billy and Glenna De Vorss returned to St. Joseph, their first home. After some time there, they settled in Scottsdale, Arizona, where De Vorss died in 1985.